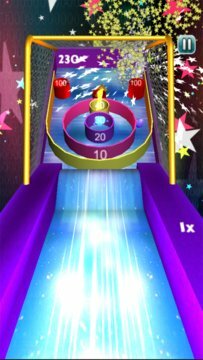 "American Skee Ball Master" is Skee-Balling style and full user friendly game. 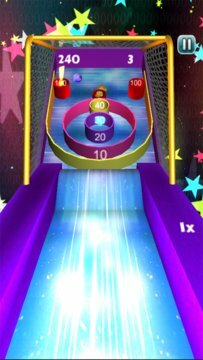 It is most addictive and entertaining physics based Roller Bowling game ever made! If you love American Ball, Roller Ball,Ramp Bowling, Arcade Bowling, Air Hockey, American Skee Ball Master, Darts, Basketball, Hoops, Pinball, Golf, Football, Tennis and other casual flick style sports games, you'll love American Skee Ball Masterl. This game is easy to play and fall in love with. You'll feel right back to your childhood. Each hole has different scores.